Ocean Literacy is "understanding the ocean's influence on you and your influence on the ocean." This week's theme is Plastic! Our obsession with this useful but non-biodegradable material means it has infiltrated our environment causing widespread damage! Learn about plastic, your connection with the environment and what you can do! Stay tuned for lesson plans and more plastic info later this week! This class activity will get students outside for a beach, trail, or playground cleanup and then have them analyze the plastic materials they find. It includes a worksheet with questions and prompts for class discussions. Also check this link to learn how to make your own DIY litter tongs! 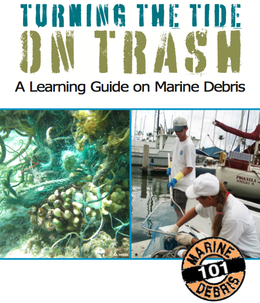 "Educators, parents, students, and researchers can use “Turning the Tide on Trash” as they explore the serious impacts marine debris can have on wildlife, the environment, our well being, and our economy." " Integrating the following lessons and background chapters into your curriculum can help to teach students that they can be an important part of the solution. Many of the lessons can also be modified for science fair projects and other learning extensions." Here is an awesome class activity that could be used for multiple grade levels in Science or Chemistry. This video shows you how to make starch-based plastic in your own kitchen (or classroom) from household ingredients. 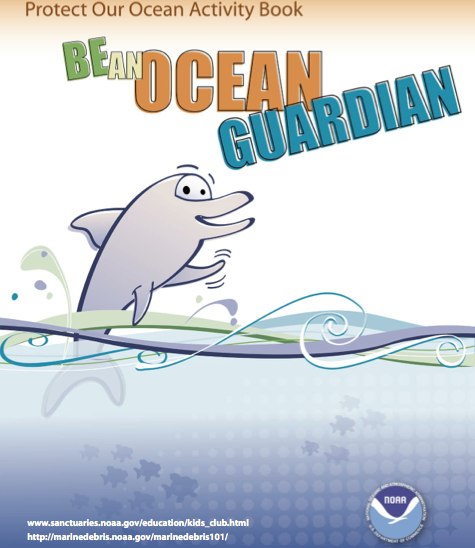 This resource package from NOAA's Ocean Guardian School has some neat activities for students in the elementary and middle school years. Click on the image to the left to download a .zip file with all of the following .pdf files. This is an incredible resource that can be used with "Winged Ambassadors"
Activity Overview: Students use online videos and photo galleries to conduct a virtual bolus (stomach contents) dissection for the Laysan albatross. They investigate how marine debris can be mistaken for food and harm marine organisms. Notes: This activity uses video, photo galleries, worksheets and class discussion to examine the stomach contents of an Albatross. It includes excellent lesson plan instructions for the teacher. Challenge: Get your students to collect household plastic before it makes it's way into the trash. Once it's cleaned bring it to school to create some awesome art! If the entire class brings some plastic and then shares it all, there should be plenty of neat stuff to use! Any leftovers can then be recycled. -reduces the amount of plastic heading into the garbage bin. 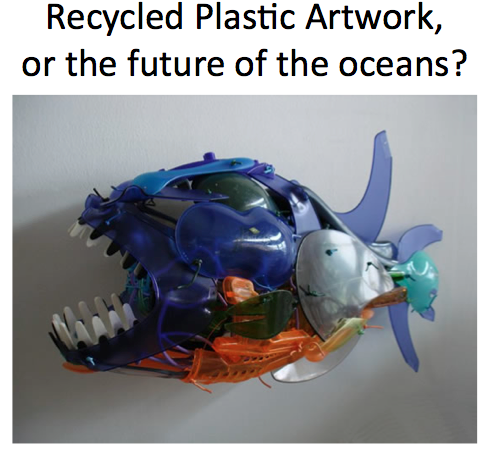 -teaches students about which types of plastic can be recycled. -reinforces the idea that plastic is a harmful pollutant. -demonstrates how marine organisms can mistake plastic objects for food. -shows how trash can have a new life. -is a ton of fun!